Why it matters: OnePlus’ announcement that it would be expanding into the smart TV arena, possibly next year, has been met with equal parts interest and excitement. We still don’t know too many details about its first television, but you could decide what it's called. 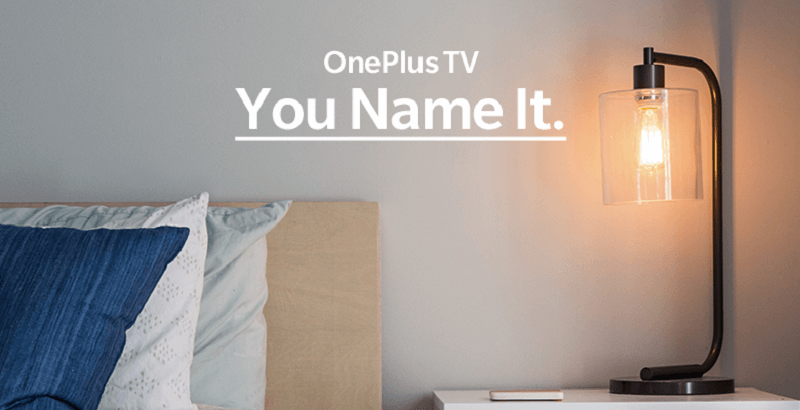 Now that founder and CEO Pete Lau has revealed its smart TVs plans on the company’s forums, OnePlus is looking for a better name than the OnePlus TV. Rather than picking one itself, the Chinese firm is running a competition that asks the general public to come up with something catchy. The OnePlus team itself will be choosing what it considers the best entries. The top ten favorites will make it through to the next round, and each person will receive a pair of OnePlus Bullet Wireless earphones. OnePlus is also choosing ten entries from its Chinese community. A grand-prize winner will be picked from these twenty combined finalists, with the lucky person receiving the first OnePlus TV, when it’s ready, and an all-expenses-paid trip to the television’s launch event. You can enter the competition, which closes on October 17, here. The ten finalists will be announced on October 31, with the overall winner set to be revealed before December 17. Since Lau announced the TV, new details have been revealed in his interview with PCMag. We now know it will be a 4K LED model that runs another company’s OS, rather than one created by OnePlus. Lau wouldn’t say who this “big, mainstream provider” would be, but Android TV seems likely. He also described it as including far-field microphones that allow the television to answer questions and control compatible devices from anywhere in the house, making it both a virtual assistant and a television. "In my mobile phone, I have my calendar agenda. When I get up in the morning, the agenda will pop up in the TV with the local time, weather, temperature, my hotel information, and recommendations for how to dress," he told the publication. This isn’t the only competition OnePlus is running right now. The company has teamed up with Google for mobile web game Crackables, where one person can win a gaming setup worth $30,000.